Gadgets come as handy, convenient and beneficial for our daily toil whether at school or at work. But these products that make our lives easy are not as perfect as we expect it. Technology also has its downside and flaws. Even your MacBooks cannot escape this imperfection. Power cords often get frayed and some have gone upset after purchasing a new Magsafe power cord for 80 dollars. This seemed to be a high-priced good to be bought by students and even for professionals who are still at the start of their careers. 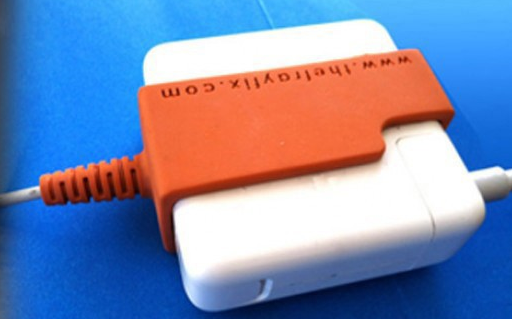 But someone who has been pissed off with buying new Magsafe power cords came up with a new idea of producing something that would aid the fraying of such accessory and also to lessen expenses of buying new ones in a local Store. Upon the success of an experimental stage on the Fray fix, this person decided to share it to the public for a very convenient and affordable price. Pointing to the terrible design of the laptop power cords as the cause of the usual malfunction and that also leads to the total fraying of the accessory, the Fray Fix now comes as a solution to the fraying problems. For only $9.99, the fray fix will help you save so much money and hassle from buying, from time to time, power cords. With the usage of this fray fix, you can be guaranteed with minimal chances of fraying. Interested customers are advised to buy it here or through this site: www.thefrayfix.com. Maybe at this moment, you still have second thoughts and questions in mind. The next paragraphs are intended to explain on how the fray fix really works. Mainly, this prevents fraying and helps cease the cords to fray up to its worse case. Heat resistant silicon is the main material for this device and so this prevents fraying by securing the area of the exposed wire. Another function is to support a stress relief attached to the power cord thus keeping it away from incidents that may cause fraying. This fray fix was also designed, in a way, that it will not deter the wrap around the cord feature or from switching on the power cord’s adaptor. With the use of such gadget for a price of only $9.99, you can truly get rid of spending $80 for power cords gone weary.